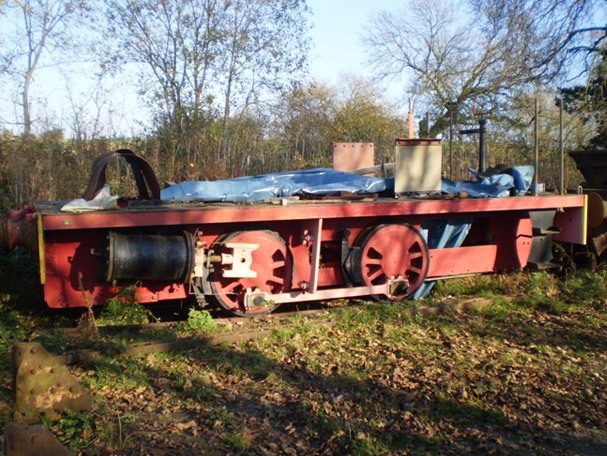 WELBECK No.6 – worked at Welbeck and Harworth Collieries, NCB North Notts. Area. Unlike many of the major industrial locomotive manufacturers, Peckett & Sons continued to produce standard designs developed in the early 20th Century despite increasing technological advances in diesel engine designs preferring to serve established customers until too late. WELBECK No.6 was one of the batch of similar heavy Class W7 0-4-0 shunters supplied to areas of the National Coal Board, an obvious user of coal burning steam locomotives. Despatched on 20th February 1950 to the NCB North Nottinghamshire Area, WELBECK No.6 had a relatively short but hard life until the inevitable dieselisation at Harworth saw the locomotive tendered for sale. Purchased in April 1973 and steamed once or twice by Flying Scotsman Enterprises who had set up their workshops in the old ironstone loco sheds at market Overton, this loco became one of the three founding locomotives in our collection and is now the only one not to have steamed at the Museum. It is currently stripped for full overhaul.